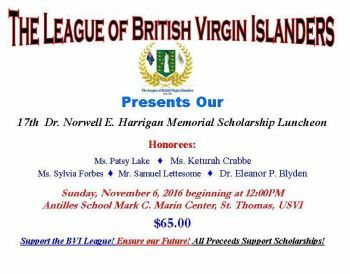 ROAD TOWN, Tortola, VI- Virgin Islands icon Ms Patsy C. Lake is among three [British] Virgin Islanders to be honoured by the League of British Virgin Islanders in November. 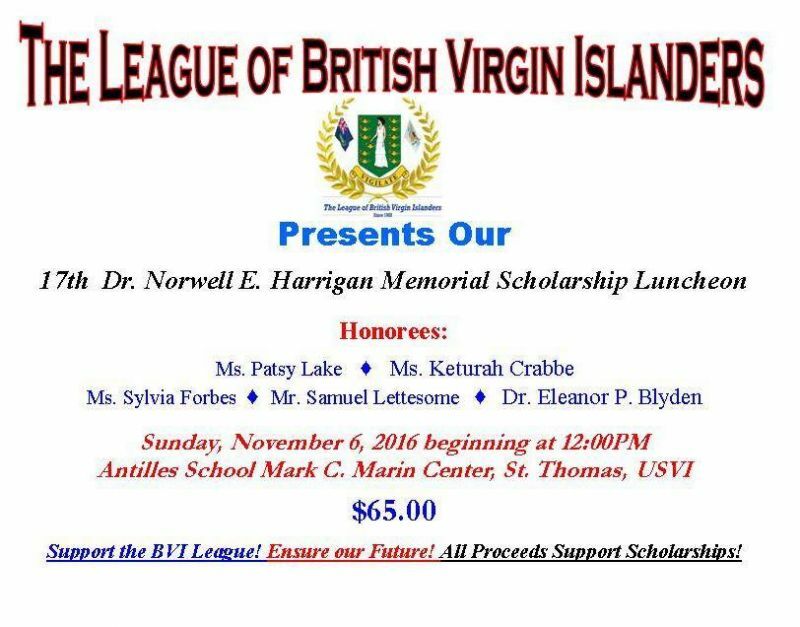 According to information reaching our newsroom, Ms Lake will be honoured along with fellow Virgin Islanders Ms Keturah Crabbe and Ms Sylvia M. Forbes, at the 17th Annual Dr Norwell E. Harrigan Memorial Scholarship Luncheon slated for Sunday, November 6, 2016 at the Antilles School Mark C. Marin Center, located at 16-1 Frenchman’s Bay, St Thomas, US Virgin Islands. Ms Lake, the President of the Virgin Islands Horse Owners Association, is a longstanding Virgin Islands business woman and horse racing enthusiast. She is also remembered as one of the persons that stood alongside Mr Noel Lloyd in a successful movement to force the termination of the Bates-Hill agreement in 1971. Ms Crabbe is a former civil servant and community organiser, while Ms Forbes is a community organiser and community leader. Two persons from the US Virgin Islands will be honoured this year: Mr Samuel Lettesome, a businessman and long-time affiliate with Native Son Ferry Service; and, Dr Eleanor P. Blyden, a community stalwart and retired university professor. 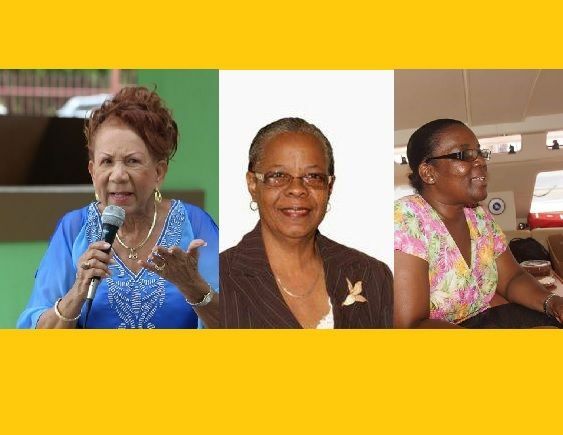 They are being honoured as persons who have greatly contributed to the advancement of the [British] and US Virgin Islands. Meanwhile, Ms Lake told Virgin Islands News Online she was notified by the organisers of the luncheon but is still to receive an official letter as well as confirmation of the date of the event. Ms Forbes what has she done again outside of run behind mw and the ndp? If nothing else, Ms. Forbes has been a faithful leader for Brownies and Rangers in the Guide Association for many years. She works hard, using her own resources to buy supplies and to provide treats for the girls and young women. She has helped guide generations of young women, teaching them to cook and do other things. What have you done? Let's stop tearing down each other and, instead, give the deserved kudos when people do good. Stop using politics to tear our community apart. Proud of you. Wise Owl! But majority of them is BANG TIGHT now hmmm...cool but I'll pass you can see the evidence in front your eyes. @just asking...Sylvia goes beyond the call of duty for her country when it comes to motivating and molding our girls. Very helpful lady. Proud of you Wise Owl. Love you to the moon and Back. Everything does not have to be politics. She deserves this honor. So please just give "Jane her Jacket." It is good they are getting honoured because in the BVI we have a tendency to wait till people die to honor them. That's just wrong.. give me my flowers why I am alive. Look when I read this I said about time. and feed her father pigs at the same place where her brother built his Bar. The NDP is branding their female soldiers? All that lady did for Noel Lloyd was to make some lemonade for he and his followers during the night of the riot. Well, she did very well..Tell me, what did you do or what have you done for your country so far? @strupes, well sah, lol - where the hell you people from? I really hope you are not Virgin Islanders. These people have worked in this community but are being honored in St. Thomas! What have you done in the community in which you were born and raised? I'll bet all of you sit up in the mouth of the church every Sunday praising God but come time to say well done to a fellow human being and all you can do is trash talk. Sylvia Forbes has done more for young girls in this community than most of them parents ever did for them. You people need to get a life or just find something positive to do with yourself instead of coming on here showing your ignorance. Having an opinion is one thing, but comments like these prove you all need to get some brains before you try to engage them. If you are Virgin Islanders I'm ashamed and disgusted by all of you. Well said Ashamed and Disgusted. I swear these people don't feel good unless they say something negative. Congratulations ladies! Well deserving honour. Sylvia Forbes kudos to you I know you love to hard and you are very committed. Keep up the excellent work and continue to make a difference. NDP has already given her a house and now this???? and planning permission etc for that ugly unsafe spot on the Francis Drake Highway!!! So what? The government must give back to its people. Karrunt, this is in St. Thomas you idiot. Dem say she is a community leader hmmm BUT COULDN'T GET LISP OJ ELECTED CAN'T BEAT FRASER BUT TAKE YOUR FAKE AWARD IN ST.THOMAS NOBODY WAS ATTENDING HERE. THey don't know any better on ST.Thomas. Congrats to all and miss Crabbe very nice lady. Dog and cat getting honoured..